Our society is a 501(c)(3) non-profit public charity organization whose members actively work to preserve the history of the Omro area. The society manages the many collections and archived items in the two museum building on main street in downtown Omro. A five story tall clock and bell tower of this outstanding late Victorian-Style building has been Main Street's most prominent landmark since the day it was completed in 1896. Designated as a combination municipal building / fire station / jail by architect F.G. Root and constructed at a cost of $5,000, this building is a beautifully preserved reminder of dayus when a community's governmental services could be comfortably housed in a single moderate-sized building. What sets this building apart it the extraordinary intact state of its exterior and interior. 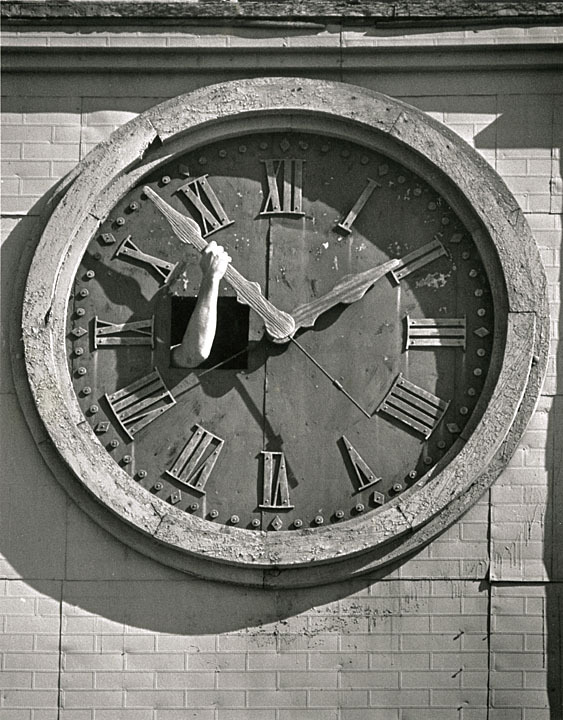 The original tower houses a beautiful, fully operational Seth Thompson clock, that is still wound by hand once a week. The buidling was also featured in Time Magazine. The building was vacated by the city in 1966 and saved from demolition by a referndum in 1967. It now houses the outstanding collections of the Omro Area Historical Society's museum. Artist rendition of Old City Hall building. 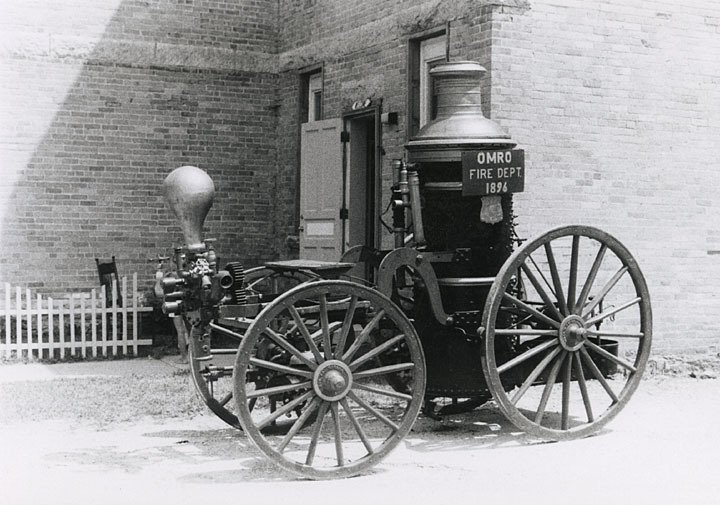 This painting is part of a mural located in the new fire station at 502 W. Huron Street, which houses the original 1892 steam-powered pumper on exhibit. The Omro Lodge of the Masonic Order is the city's oldest fraternal orgainization, having been chartered in 1867. At first the Lodge occupied a series of rented hall, but in 1891, upset with the high price of these rentals, ($10 per month) the members decided to build a hall of their own. A lot was purchased for $600 amd a $2,000 loan from member W.W. Race allowed the Lodge to construct the fine cream brick building that is still its home today. 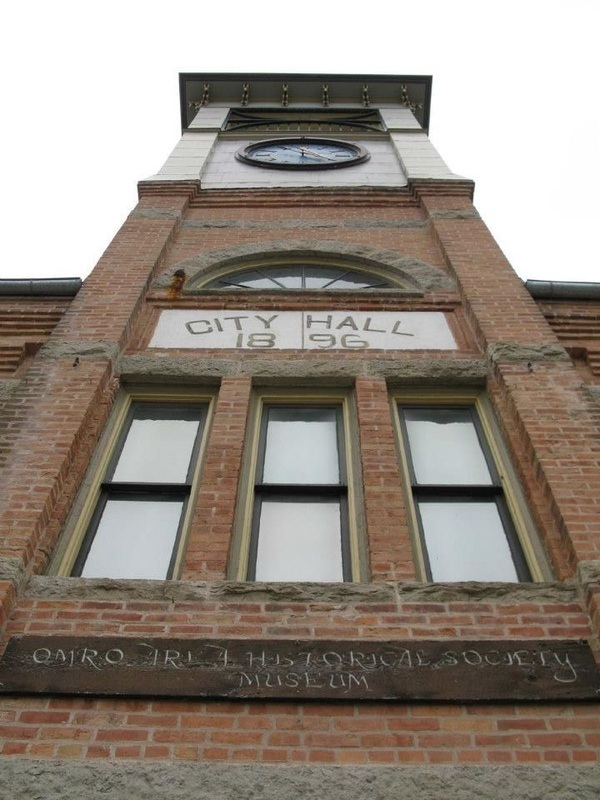 Being a member of the Omro Area Historical Society is easy, fun and economical. We help organize the artifacts, participate in city-wide events and offer group tours/talks. Every month we learn about local history and how this town is tied to the greater Wisconsin community, and the world. Please, contact us to join! You don't have to live in Omro to be a member, either. As the web site develops, we hope to engage you from any place you might live. Watch the videos below to get more information on the Seth Thomas clock and view the weekly winding of the clock by hand.